Ray Kroc (1902-1984) turned a neighborhood hamburger joint into a worldwide fast-food behemoth, changing the way society views mealtime. Kroc, who grew up in south Oak Park and attended Lincoln School and Oak Park River Forest High School, had wanderlust as a young man, working as a jazz pianist, a radio music director, and a realtor in Florida. Once he heard the McDonald brothers in California had eight such machines, he was intrigued and visited their operation in 1954. 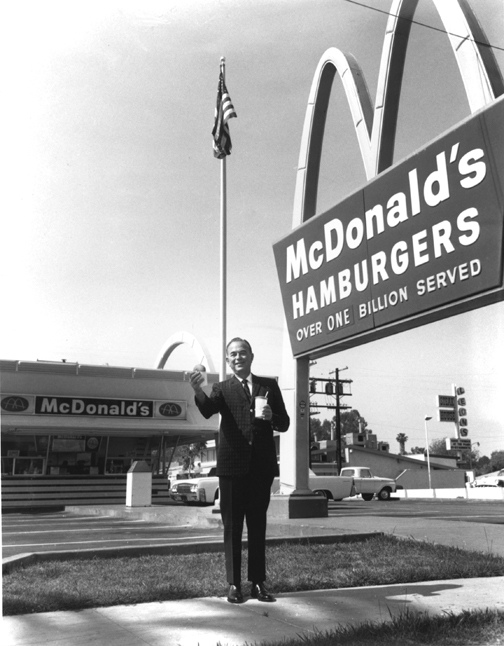 In two days, he had an arrangement to open more McDonalds restaurants in the U.S., and in 1961 he bought out the McDonald brothers for $2.7 million. Kroc created a new category of "fast food restaurant" and pledged consistent quality, service, cleanliness, and value. A Harvard Business school professor described him as the "Henry Ford of the service industry." Late in life he owned the San Diego Padres baseball team and was involved in many charitable activities such as seeking cures for diabetes, arthritis, multiple sclerosis, and chemical dependency.